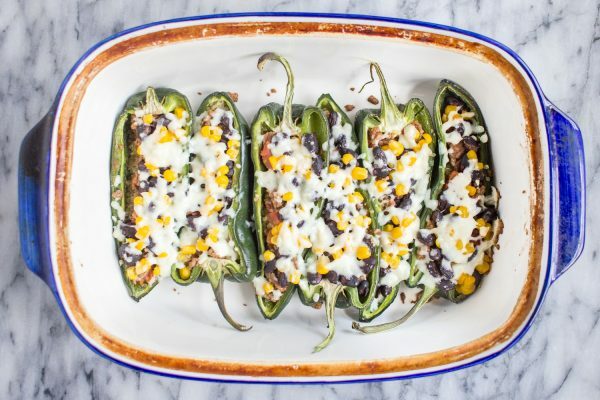 This recipe for Beef Stuffed Poblano Peppers comes together with under 30 minutes of active preparation time, and it yields enough food to serve at least 5 people. 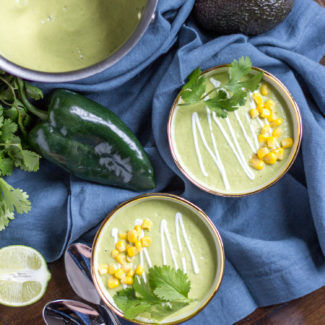 It’s a great weeknight meal. 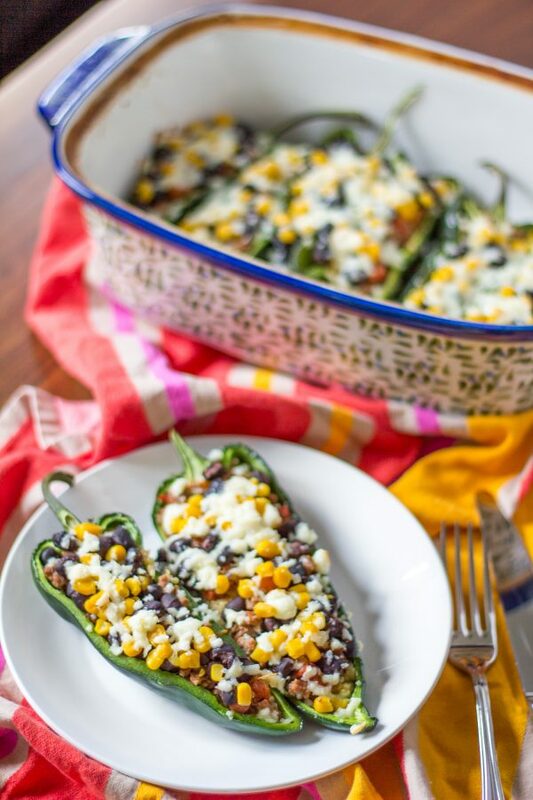 Poblano peppers are sliced in half and then stuffed with cooked quinoa, ground beef, black beans, corn, and cheese. It’s so easy! One of my favorite hacks for seasoning beef is to add some salsa. Once the beef has browned I added a cup of my favorite salsa along with a can of petite diced tomatoes. 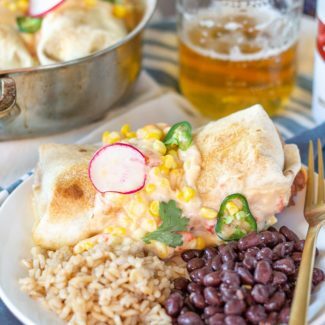 It creates a wonderfully saucy seasoned beef that is perfect for tacos or stuffed peppers. It would definitely be faster and easier to mix the quinoa, beef, beans, and corn together before stuffing the peppers. I individually added each ingredient just for the photos. Mixing everything together would also prevent the beans from drying out. I made this meal while Charles was traveling, so we had lots of leftovers. The leftovers reheated well, and you can even top a pepper with a fried egg and call it breakfast. 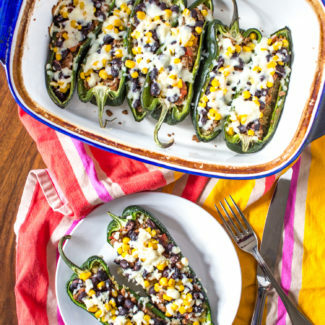 Poblano peppers have a smoky heat. Some poblano peppers are pretty mild, while others make me sweat. Removing the seeds does help to reduce the spice level. 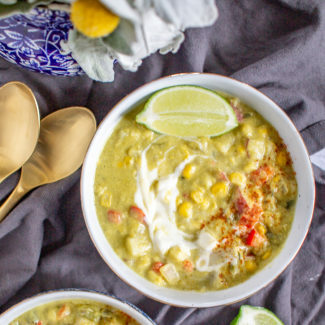 If you aren’t into spicy foods, you can use bell peppers instead of poblano peppers. If you want to increase the spice level, just use a spicy salsa or add in some jalapenos! Like most of my recipes, you can easily adapt this recipe to make it your own. Use turkey instead of beef, choose a different type of bean, add rice instead of quinoa, or wrap the peppers with bacon. Mix things up and let me know what you come up with. A quick note about the quinoa – usually you use 2 parts liquid to 1 part quinoa. I added 2 tablespoons extra liquid to prevent the quinoa from getting too dry when it went into the oven. You can cook quinoa in water, but I use a 50/50 mix of water and vegetable stock to give the quinoa some extra flavor. 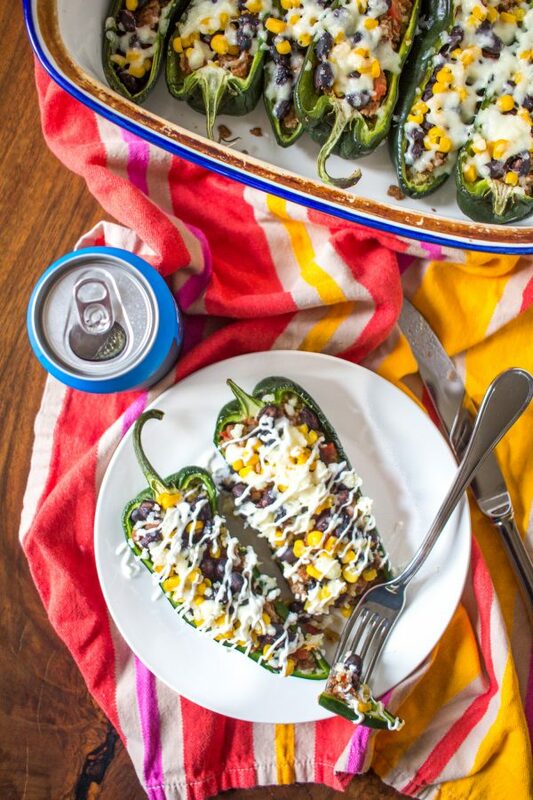 This recipe for Beef Stuffed Poblano Peppers comes together with under 30 minutes of active preparation time, and it yields enough food to serve at least 5 people. 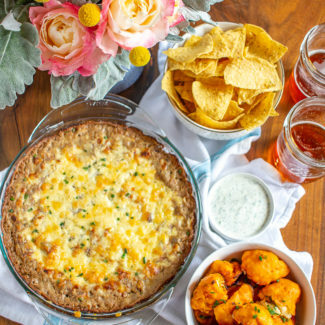 It's a great weeknight meal. Start by preparing the quinoa. 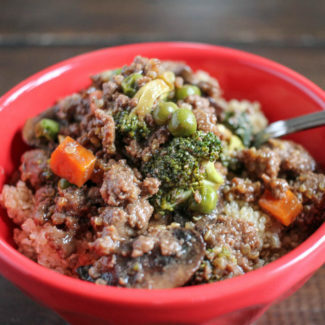 Pour 3/4 cup water, vegetable broth, and quinoa into a sauce pan, and bring to a simmer. Let simmer for about 20 minutes stirring periodically, until the quinoa is soft and fluffy. While the quinoa cooks, get to work on the beef. Heat the olive oil in a skillet over medium heat. Add the beef, season it with salt and pepper, and use a wooden spoon stir the beef and break it up into small pieces. Once the beef has browned, stir in the salsa and diced tomatoes. Bring to a simmer, and let reduce while the quinoa cooks. 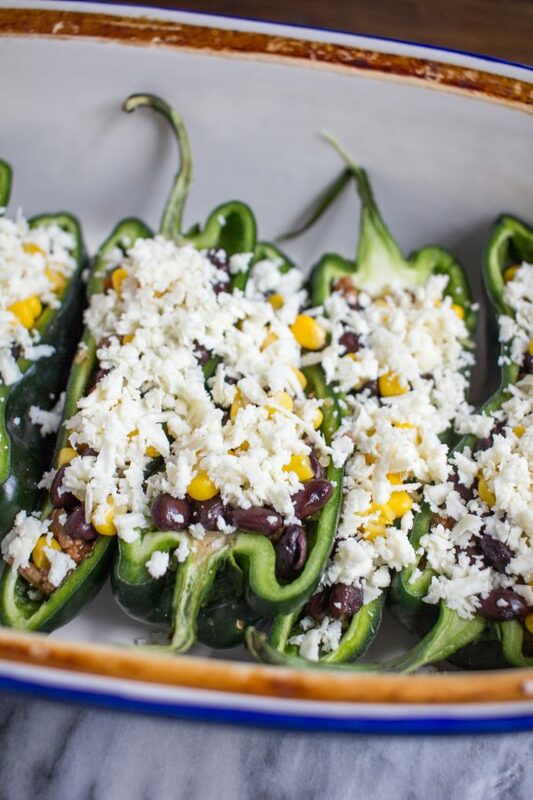 Now prep the peppers - poblano peppers are spicy, and your hands can absorb some of that heat. BE CAREFUL. You might want to remove your contacts first. Slice each pepper in half. I like to remove the seeds to reduce the spice level. Don't rip the seeds out with bare hands. Use a spoon or wear gloves. With the quinoa and beef ready - it is time to stuff the peppers. Before stuffing the peppers I added 2 extra tablespoons of water to the quinoa so it didn't dry out too much. I individually added the quinoa, then beef, beans, corn, and cheese. 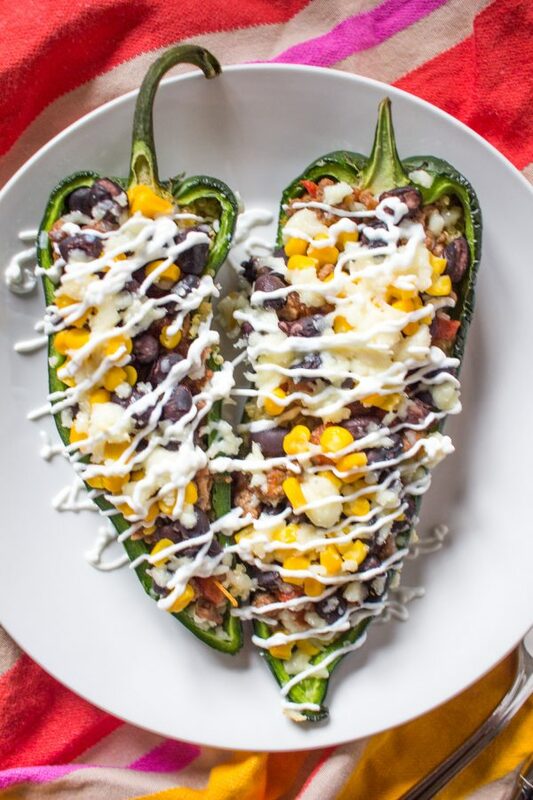 It would be quicker and easier to mix the quinoa, beef, beans, and corn together then stuff the peppers, and add some cheese on top. 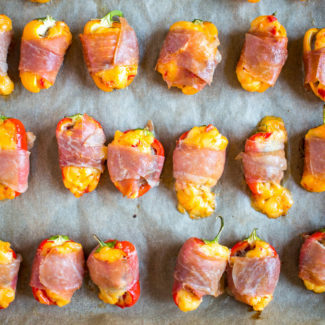 Arrange the peppers in a baking dish, and bake at 350 degrees for 20 minutes. Serve with sour cream.